I have just returned from Devon. By virtue of its reason, that of the funeral of my uncle, a trip of very great sadness. Yet, amongst the sadness was contained the joy of reunion. It has been so long since I have seen my cousins, aunts and uncles. And it has been a long time since I have seen this distinguished fellow. 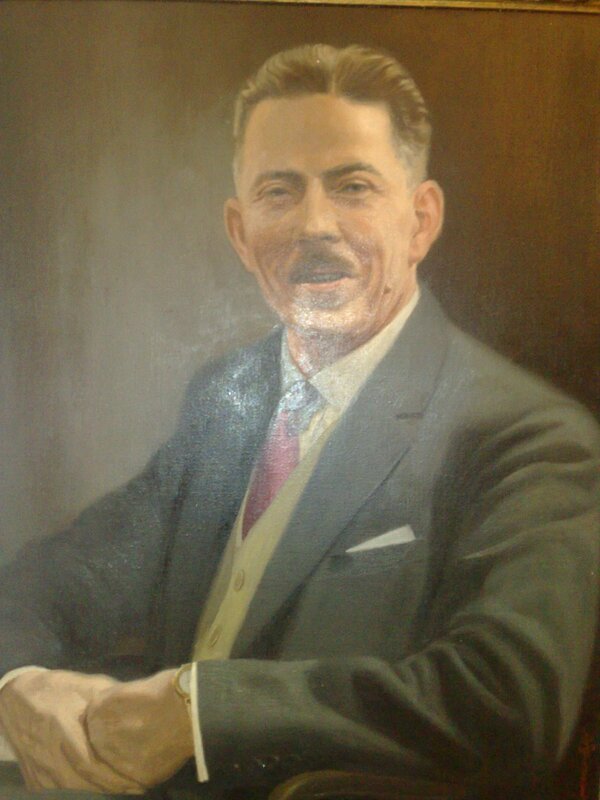 This is a portrait of my grandfather, Jack Peopall, who was a remarkable and much-loved man. Unfortunately he died before I was born, but if I could meet one person from history it would be him. Next time you buy something from the meat stall or cheese counter in your local supermarket, say a little thank you to Jack: He was the man that invented the write-on price tag that’s now used pretty much universally. By all accounts, his intelligence and business acumen were only surpassed by his sense of fun and by the unbounded kindness and love he showed to those around him. In short, an inspiration. Seeing his portrait hanging in my aunt’s house and meeting all those wonderful people again really made me realise that, in reality, I am not quite the solitary character I sometimes consider myself to be. I have the privilege to belong to a wonderful family. I am really resolved to make the most of that by making the effort to stay in touch much more. And in so doing, I can really acknowledge and enjoy the gift that this man bestowed on me.